Almonds nourish and energize your body inside, and out. 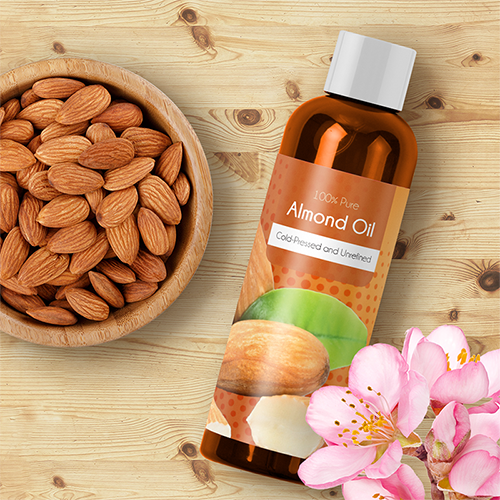 Sweet almond oil nourishes and revitalizes your hair, skin, and nails. 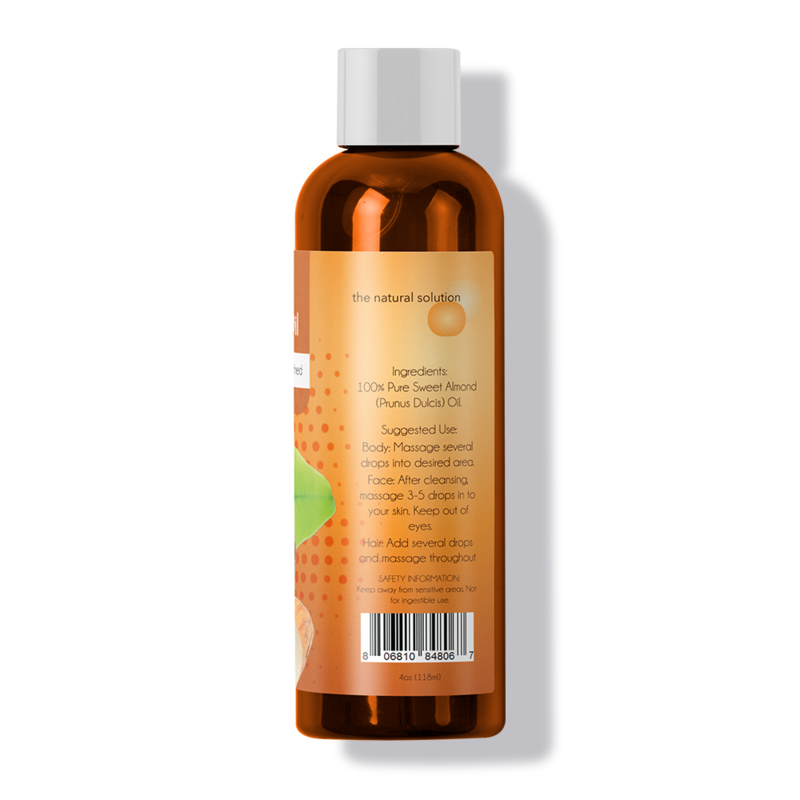 Our therapeutic grade pure sweet almond oil is cold pressed and unrefined from the prunus dulcis botanical. 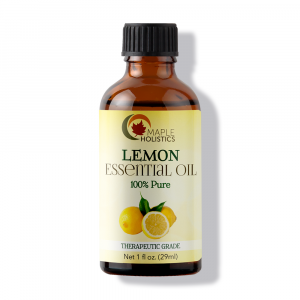 This elixir brings out skin radiance and helps brighten dark circles. 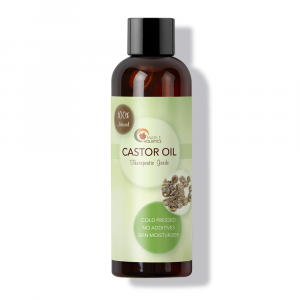 Use it as a moisturizer, makeup remover, carrier oil, or massage oil. The anti-bacterial, antioxidant, and collagen boosting properties help keep acne, fine lines, and wrinkles at bay. 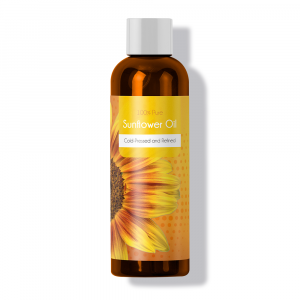 Apply it in your hair to reduce frizz, breakage, and boost hair growth for thicker hair with softness and shine. 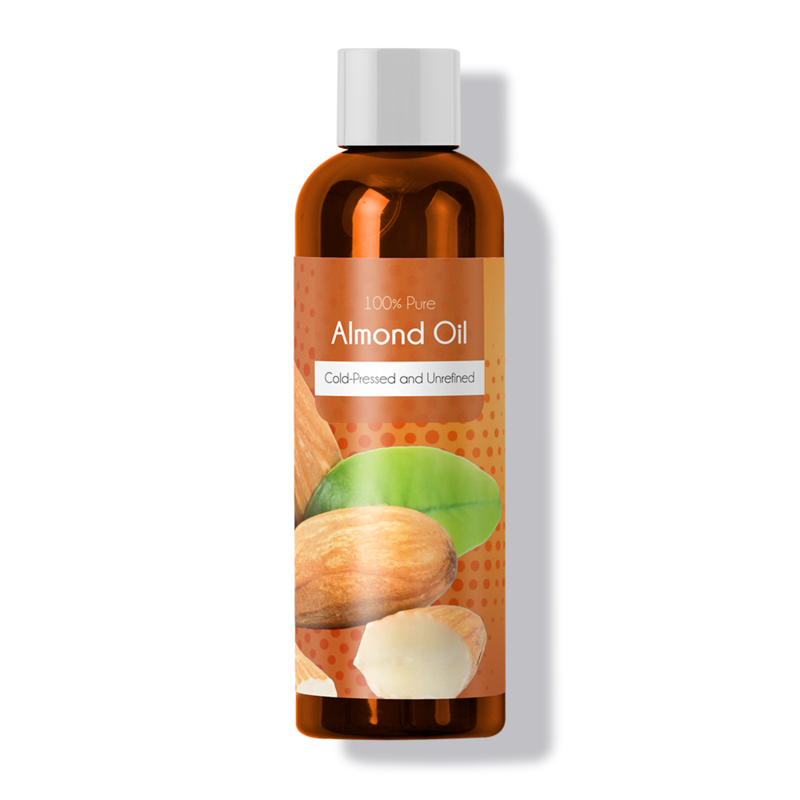 I started using this almond oil for many things, I mixed it with my moisturizers, for the hair, and I apply a little on my face at night, and best of all, it has no smell and is 100% pure and natural. It’s an awesome product to use. It reduces hair fall, makes hair roots stronger & hair healthier. 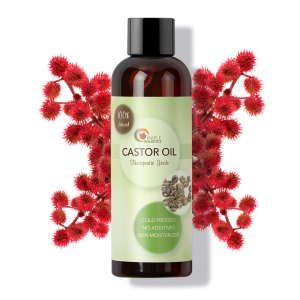 It is also healthy for the skin, deeply moisturizes skin,scalp & good for growth of nails too. 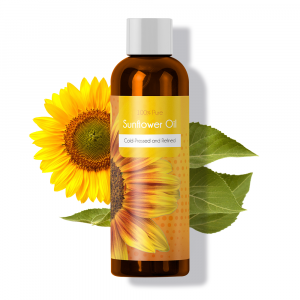 Outstanding product, keeps my hair and skin glowing. No toxic smell. Almonds – what a beautiful creation. 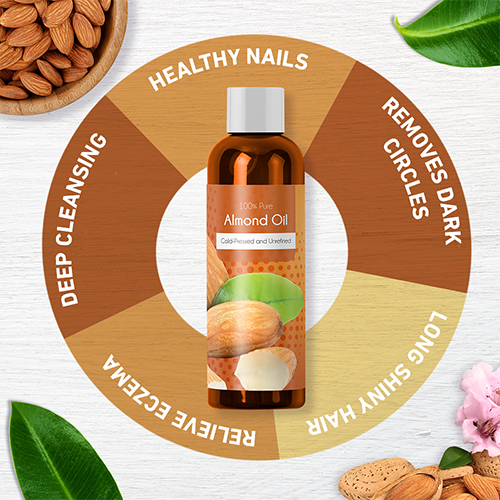 And this almond oil is like nutritious and delicious food for the skin! I use it to make home-made creams and lotions. I love the fragrance and the way it soothes and moisturizes my skin. 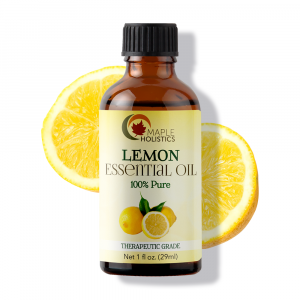 As someone with sensitive skin, I trust this oil!